Well, well, well, what do we have here? Some price drops on a few of our favorite PS3 games is what. Sony Computer Entertainment America added seven more games to their price-reduced Greatest Hits library today. 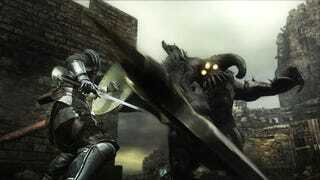 And among the list is one of last year's best games: Demon's Souls. Not surprising news, but still fantastic. Sony says that games that they deem "greatest hits" are the titles that have "surpassed an impressive sales threshold and represent the highest caliber of quality software available on the PS3 system." We don't really care about all of that. What we care about is that these games will now only run you $29.99.